This ultra lightweight balm works as a skincare product and leaves skin tone perfected. This is a great choice for those who want that ~*no makeup, makeup look*~ PRODUCT CLAIMS: Improved skin tone, improved skin radiance after 12 weeks of use, firmer skin after 12 weeks, and visibly smaller pores after 8 weeks of use. 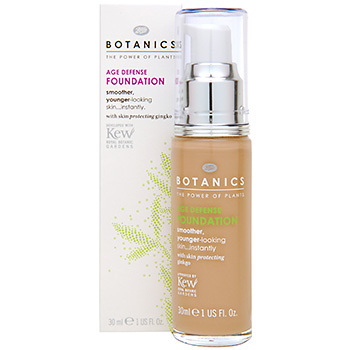 This is the perfect light coverage foundation, and can be built up to have medium coverage. It makes skin look radiant and healthy. If you have oily skin, beware, this foundation is quite dewey. Although it doesn't say this product is vegan on their website, none of the ingredients are derived from animals, yay! PRODUCT CLAIMS: For smoother younger looking skin, minimizes fine lines and wrinkles. This foundation's reputation always precedes it, and for good reason. Although this formula is best suited for those with normal to dry skin, it provides the most stunning finish. I love the versatility of this product. You can use just a few drops for light coverage or build it all the way up to a full coverage foundation. Other products layer beautifully on top of it and it never gets cakey. Dermatologist tested, non-comedogenic, contains anti-oxidants, and is fragrance free. The only downside it that is doesn't come with a pump, so it can be a little messy. PRODUCT CLAIMS: hydrates for softer smoother skin, evens out skin tone, leaves skin bright + radiant. 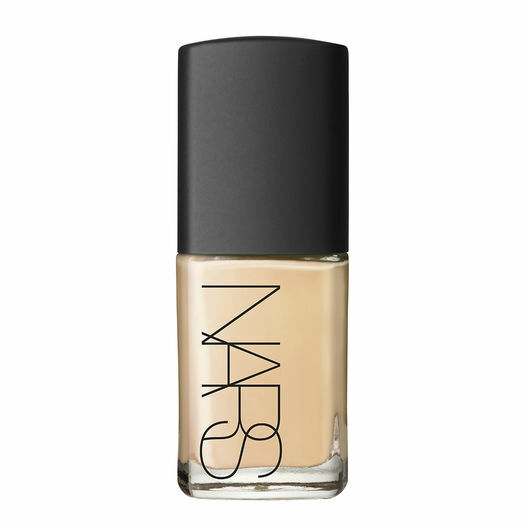 Another cult favorite from Nars, big surprise. Nars just knows what they're doing when it comes to foundations (+ concealers, + powders, + blushes, + basically everything they do they're good at). This formula provides a flawless weightless base that lasts all day long. A little goes a long way with this product, allowing flexibility with coverage. PRODUCT CLAIMS: flexible polymers move with skin allowing for breathability + comfort, provides coverage without masking skin, neutralizes redness + dullness + works long term to reduce discoloration. 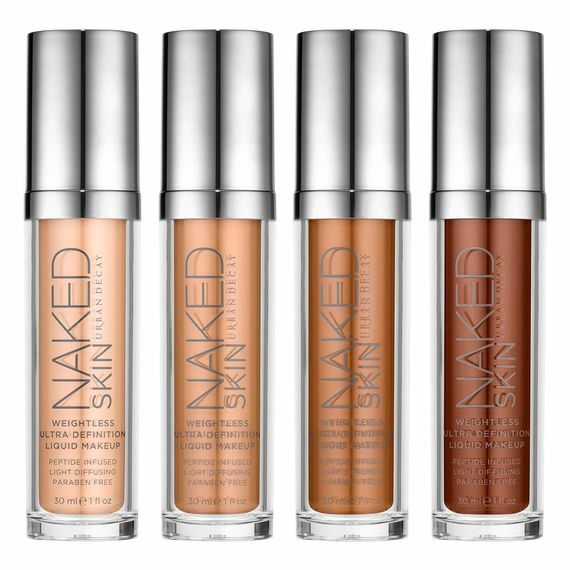 If you want a lightweight, full coverage, photo friendly, affordable foundation, your search is over. Wet n Wild nailed it with this foundation. It looks beautiful in person and in photos and videos because it doesn't have a white cast when flash is used. PRODUCT CLAIMS: tested under 7 different light conditions to prevent flash back, delivers camera ready makeup, specially made with a matte, light-diffusing complex to give your skin #nofilter perfection. This is one of those foundations that pack a punch when it comes to coverage, but still manage to leave skin feeling soft and healthy. This formula is oil free, and Tarte always formulates without mineral oil, parabens, pthalates, tricoslan, sodium lauryl sulfate, + gluten. Be aware this product does oxidize (reacts with the oils on your skin causing a change in color of product), be sure to try before you buy. PRODUCT CLAIMS: Oil free, 12 hour long wearing formula, SPF 15 mineral sunscreen, hypoallergenic, contains Amazonian clay, Vitamins A + E, and mineral pigments that soften skin. This foundation is my holiest of grails when it comes to foundation. It contains a luxurious long lasting formula that covers everything you want to hide while providing a soft beautiful feel. This is what I wore on my wedding day, and it did not disappoint. It has 21% pigment, which is INSANE, most run of the mill foundations hover around the 7% range. Formulated without parabens, sulfates, + pthlalates. PRODUCT CLAIMS: Proven 24 HR wear, transfer resistant, water resistant, completely conceals imperfections, redness, hyperpigmentation + uneven skin texture. Now, for the Mac Daddy of all things full coverage, I present to you the All Nighter Foundation by U.D. This one is not for the faint of heart. This foundation will go on, and stay on for the long hall. No commitment issues here, and there is a shade for everyone. This foundation is formulated without oil and one pump can cover up everything you wish to hide. The packaging it is dispensed from is an air-free pump, which means you are getting every last drop of this majestic product. PRODUCT CLAIMS: full coverage with modern matte finish, waterproof, paraben free, + absorbs oils. That is a wrap! Thank you for reading. Please let me know if you have tried any of these foundations or which one you are dying to try next. *Links are affiliate links, which means if you click the link and buy anything I will receive a tiny percent commission. Thank you for your support!